What can you expect when working with Legal Ease Consulting? We will start by defining your vision for your firm. We’ll get specific about your future vision and your current mission, to ensure that everything in your practice keeps you moving toward that vision. We’ll strategize together to create goals based on your vision. We’ll develop plans that move your firm toward your vision and inspire you, your partners, associates, and staff. You’ll have specific action plans to follow so that you can see your progress, and periodic sessions with me will keep you accountable for continuing to develop and keeping up the momentum. We will work together to customize solutions for your practice. We’ll create systems and procedures that will ensure that cash flow is more regular and your practice runs more effectively, even when you’re not there. You’ll learn strategies for communicating that will transform the atmosphere and morale within your office, reduce turnover, and increase loyalty and commitment to your firm. You’ll learn to identify and foster the strengths in your employees. You’ll learn how to better delegate and use your leverage to free you up to perform the ‘higher value’ tasks in the practice. You don’t have to give up practicing law to manage or market effectively. In fact, sacrificing one of these essentials can spell disaster for your practice. To truly develop a high value practice, you’ve got to have strong management, great marketing, and excellent legal skills and client service. I’ll show you how to put all four together to make your firm into everything you want it to be. I stay with you through implementation. Some consultants will give you a ‘prescription’ or tell you what to do, but don’t tell you how to do it, or help you do it. If you prefer (as most of my clients do), I’ll stay with you to make sure it’s working, and to show you how to make adjustments as time moves on. You get the best of both consulting and coaching. My goal is to transfer skills to you. Although I stay with you through implementation of the project, my focus is on teaching you strategies to make your firm work better, so that you can learn to take charge of your practice and your marketing, even after our relationship has ended. You can expect to be challenged and to hear things, sometimes, that you don’t want to hear. You can expect that I’ll stay ‘on top of’ you to get you to keep moving toward your goals. Like an athletic coach, I’ll push you to find your limits and surpass them. Profitability. No matter what your vision is, your firm has to be profitable, or you won’t be in business for long. Strategies to increase profitability may include changing your fee structure, leveraging talent, delegating non-essential tasks, increasing efficiency, improving cash flow, or a combination of these factors. Productivity. One of the best ways to increase the value of your billable hour is by increasing productivity. Streamlining administrative tasks, creating systems that work consistently, and keeping morale high all increase your productivity. Passion. Everyone wants to be inspired. Learning to identify and share your passion, inspired vision and values will increase morale, increase productivity and profitability. Your firm will become a center of innovation, with loyal employees willing to go the extra mile for you and your firm. People. People and relationships are the key to any successful law practice. Focusing on clients as people, whether you have a consumer-based or business-based practice, will increase their loyalty to you. 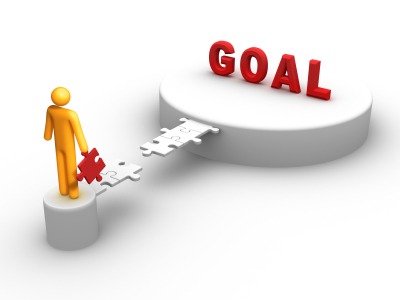 Determining your employees’ goals and investing in their success is an investment in your practice. Point of Differentiation. To be successful, you’ve got to demonstrate that you have something special that no other law firm has – that you’re uniquely qualified to provide legal services to the clients with whom you work, or that you provide something they can’t find anywhere else. It begins with an initial consultation. During our first meeting, I’ll ask you a lot of questions. The questions will be thought-provoking and will provide a benefit to you, whether you decide to hire me or not. The initial consultation is to introduce you to a different way of thinking about your practice. It’s a time for us to get to know one another. We’ll also explore possible obstacles to our working together, to see whether we can reach common ground. Once we’ve determined which challenges you’d like to tackle, we’re ready to start. The calculation of my fees depends upon the way in which we’ll be working together. I don’t charge by the hour. That system creates an inherent conflict between me and my clients, and discourages communication. For project based consulting, my fees are based on the value of the project to you and your firm. For coaching and consulting, a combination of value considerations and retainer fees can be explored, depending upon how we believe the relationship should best be structured. Objectives. As part of our initial meeting, we’ll identify the key players in your firm that need to be part of the project. Then we’ll determine what outcome the firm is looking for as a result of the project, and what the parameters should be. The initial meeting will establish a primary focus for the project based on your most important objectives. Measure of Success. Next, we’ll determine how to measure the success of the project. These measures can be traditional and easily quantifiable, such as a percentage increase in revenue or cash flow, or a reduction in employee turnover. Succes may also include intangible results, such as increase in morale, fewer administrative or ‘lower value’ tasks being performed by higher value firm members, or a decrease in stress. We’ll determine together what the measure of success will be, and who will make the determination about whether we’ve succeeded. Value. This may be the most important part of the initial discussion – what is the value to the firm of this project? We’ll discuss how you would assess return, and what the anticipated results would mean to you personally and to your firm. We’ll discuss the impact on your bottom line, and how these results would affect your clients, associates, staff, vendors, and others. If you think I might be able to help you and your firm increase your value in the marketplace, attract better clients, and bring some joy back into your practice, you might want to review my Products and Services page to learn about the specific programs or options available. Learn more about me and Legal Ease Consulting by clicking here.